Mull has an amazing array of rock types, providing varied climbing and scenery. There are hundreds of climbs on dolerite crags to go at, these are mostly round the west coast and extend over most of Mull. Climbs often follow well protected cracks but there are also face climbs on flakes and crimps. Ardtun north east of Bunessan has many quality climbs up to E4, the biggest crag faces north. On the north west coast of Mull there are shorter but sunnier crags with numerous routes. The gabbro crags are located in the hilly areas and give a number of easy climbs up to E1. Most rely on friction, but the friction is legendary! Gneiss makes up most of Iona, there are a number of different crags. The rock often has colourful banding with vertical or horizontal breaks. 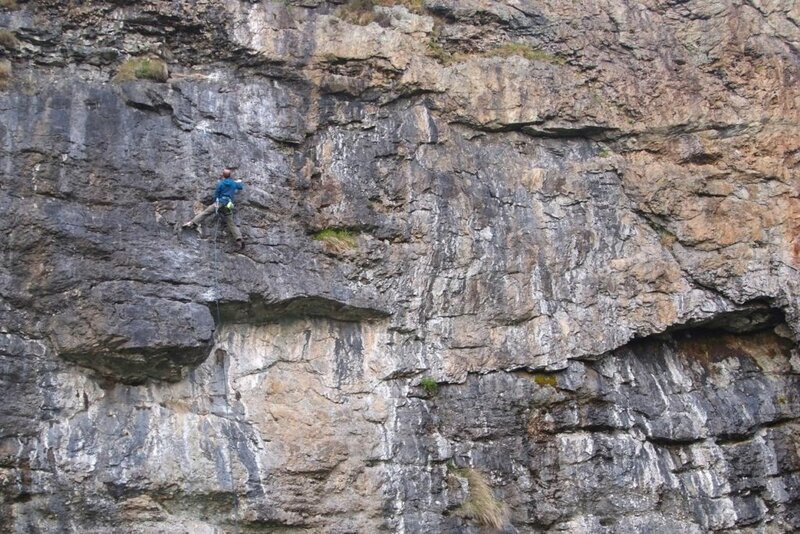 Raven’s Crag in the south west has many extremes including a couple of E6s. There are also lots of easier climbs in the south west and on east and west coasts. South west Mull is a granite area with many small crags. Climbs on flakes, cracks and dark blobs! The tidal Isle of Erraid, off Mull, is fairly popular with climbers but there are many other crags. Rusty Tractor is one of several short crags south of Fionnphort, it has a handful of pleasant low grade climbs. Kintra north west of Fionnphort has some harder stuff up to 30m E5. There are a few climbs on flakes and pockets on west Mull, this rock is overlying the breccia. Unfortunately most of the climbs are slow to dry. This is an area of schist on the south of Mull. The climbs usually use flakes and cracks. There are a number of crags. One crag ‘The Slab’ has climbs from Hard Severe to E4; opposite is the slightly overhanging ‘Horse Wall’ with routes from E3 to E7. A dozen routes have been climbed on the south coast of Mull and at Gribun. The routes with angular holds. Further information on the climbs mentioned are included in the Scottish Mountaineering guidebook ‘Inner Hebrides and Arran’. With special thanks to our local rock climbing expert, Colin Moody.